Humans are pretty clever really: we've created ingenious devices to trap the sun's energy here and now, rather than waiting 100's of millions of years for plants to do it for us, through the slow processes of fossil fuel formation. Power up with solar panels and step into the future, rather than depending on the dinosaurs for home electricity use. By installing solar PV panels, the typical homeowner saves 1,200 to 1,700 kg CO2 each year,1 whilst also saving a lot of money and gaining energy security. Unlike the conventional forms of electricity generation, solar PV does not produce any pollution and doesn't depend on extraction of oil, gas or coal. That leaves us with less pollution and more energy security, which has got to be a good thing. Of course, manufacturing panels does involve some hazardous and toxic substances. But when you consider their full lifetime, the pollution power of solar panels is far lower than that of most alternative energy forms. In one hour, the the sun provides enough energy to the earth to power our global energy needs for a year. Electricity generation accounts for just under 30% of the UK’s carbon emissions2, and we’re lagging shamefully behind our European friends in the renewable generation game - just check out this graph from EuroStat. Solar panels, or solar photovoltaic (PV) panels, may not be cheap, but by installing them not only will you drastically cut your electricity bill, but you could also earn yourself some income through selling power back into the grid. The Feed in Tariff (FIT) guarantees healthy cash back payments for 20-25 years, making domestic renewables like this a fantastically safe investment. You can calculate how much you could save on this interactive solar PV potential calculator. But do note - the Feed in Tariff runs out on 1st April 2019, so don’t hang around! Let's be honest, this is one of the more complex, committing Do Actions to pledge to. But it's also the most rewarding - both financially and environmentally, perhaps even socially too. We're not going to pretend to be solar installation experts, and so we'll keep the advice here short and sweet, and refer you over to the real experts at YouGen. Check you have a suitable spot for solar PV (i.e. do you have a sun-bathed spot to place the panels, ideally facing between south east and south west with them angled at 30 to 40 degrees). 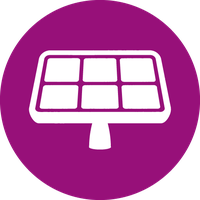 If you're in the England, Scotland, or Wales, it's also worth checking if you'll be eligible for the Feed In Tariff (your house needs to have an Energy Performance Certificate (EPC) rating of D or higher). Find yourself a goodMCS accredited installer (MCS is the mark of quality that demonstrates industry standards). YouGen have some great advice on choosing the right installer for you. Sit back, relax, and let them do all the hard work. Good luck with the half marathon - we've decided to install a 2KW solar pane system on our holiday cottage happening this Friday - all in support of you! Solar panels installed and we LOVE them!